The World Conservation Union's Cat Specialist Group site has lots of great information on all cat species. This site has a comprehensive database of carnivore-related scientific articles, books, and conference proceedings. Search their database for research articles on clouded leopards and other wild cats. 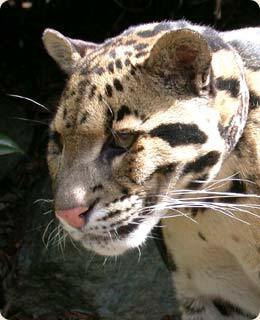 This site has an in-depth fact sheet on clouded leopards and has information on wild cat research. Learn more about a career in the zoological field! Learn about Species Survival Plans (SSPs) for clouded leopards and other endangered species.